Ossie Beauchene got his first deer mounted at Cordray's Taxidermy! Getting ready for Alligator Season! Last year was the second year of public hunts for alligators in SC. We really struggled skinning 12 foot long alligators weighing over 600 lbs. in a facility made for 150 lb. deer! We're going to be doing some renovations in the next few months to help us be better able to serve your needs should you bag a BIG one! Don't forget to apply for the tag drawing on May 1st at SC DNR. 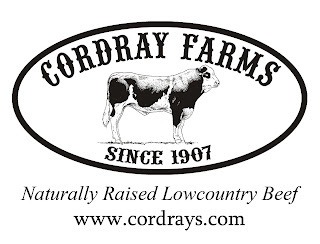 Cordray Farms beef is available at Stono Farms Market on Johns Island! 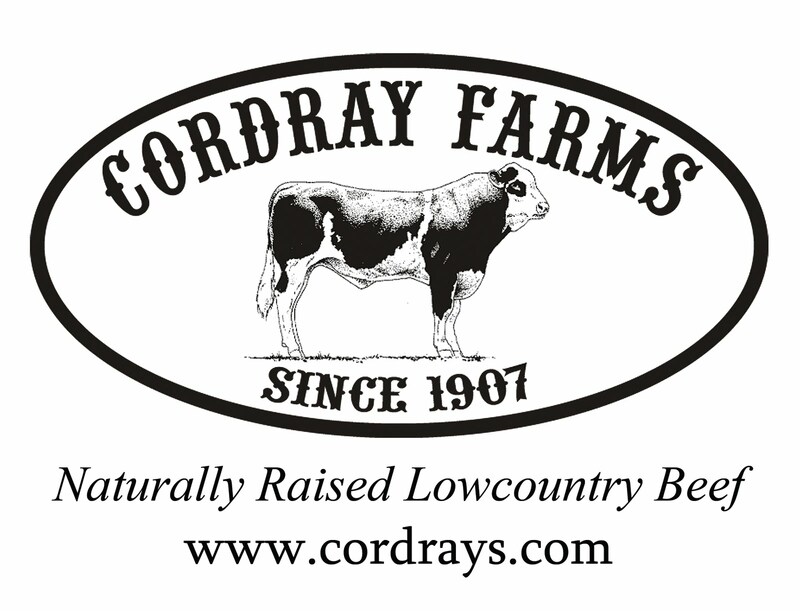 Cordray Farms All Natural Beef burger in bulk or patties is available at Stono Farms Market. Stop by, have lunch, pick up fresh vegetables and delicious beef all in one spot! James Harris with a Ravenel buck! 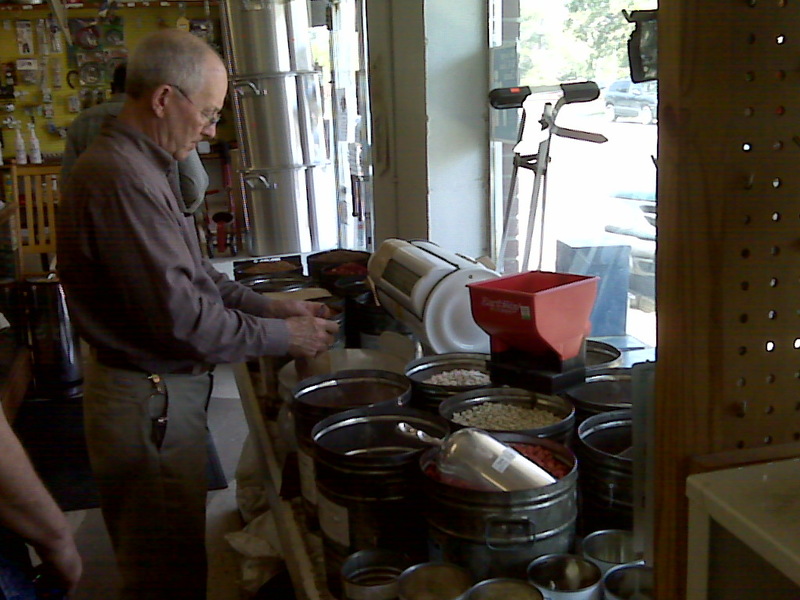 If you're putting in a vegetable garden, like I am, Vaughan's Store in Ridgeville truly has everything you need. 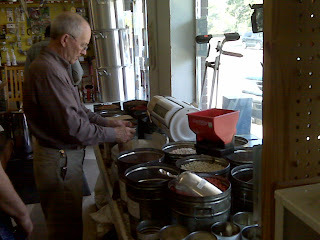 Mr. Vaughan helped me decide what kind of seeds I wanted and measured out the exact amount. Vaughan's also has all the gardening tools you could possibly need. Last year I bought tomato plants from all over, Lowes, Walmart, anywhere they looked good. The ones I bought from Scott at Vaughan's were WAY better than the rest. They were Marion plants. It produced earlier and longer than the other varieties. It's so nice to go to a place where they can tell you, "I planted this kind in my yard and they'll work for you." Vaughan's is open 7 to 7 Monday through Saturday. It's right by the railroad tracks in Ridgeville. Check 'em out. I think it's true what they say, "If we don't have it, you don't need it!" Tonight's cut of meat was Sirloin Steak! The first thing we noticed was how the Cordray Farms Sirloin cut we received was far bigger than the biggest steaks I've seen at the grocery store. It was enormous! =) I was having difficulty deciding which recipe to use, until I had a thought. I have been amazed at how different (better!) the Cordray beef tastes from what I was previously buying at the store. It is also much more tender. So, I thought it would be interesting to just do something simple. I didn't want to cover up the taste of the meat with a lot of added ingredients, so the only ingredient we used was Worcestershire sauce. I marinated the steak for an hour or so and then my husband put it on the grill until it was cooked medium well. We did add a little garlic butter (minced garlic added to melted butter) to one of the steaks to try as we had heard it recommended. The result was by far, the best tasting, and most tender steak we've ever eaten. This was a steak that had been frozen, also! 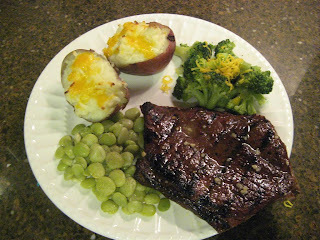 I actually preferred the Sirloin without the butter because it was so good by itself. There are so many ways to marinade and flavor a steak, but sometimes simpler is better! Robert Darby picked up his mounted big buck from Cordray's! We're proud of Tristan! Check out the article in today's Post and Courier! Many of you know Tristan, our oldest son, from his years of working at Cordray's. Check out the article in today's Post and Courier on his dental practice in St. Stephen.